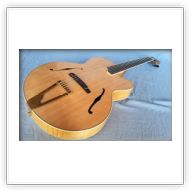 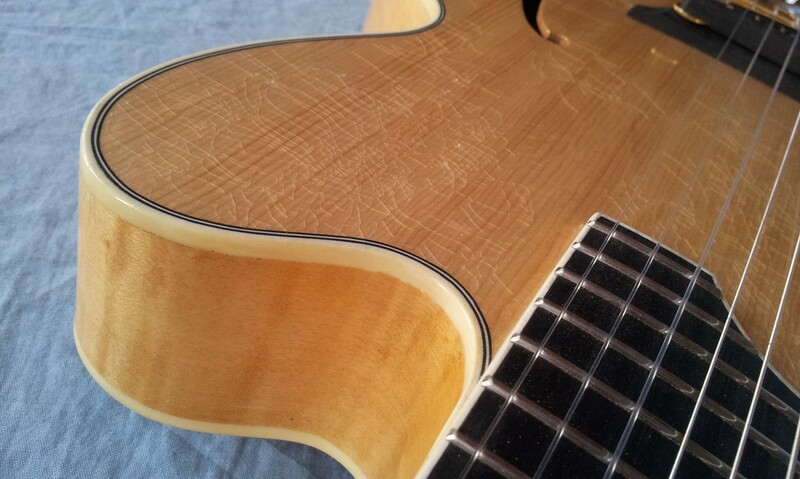 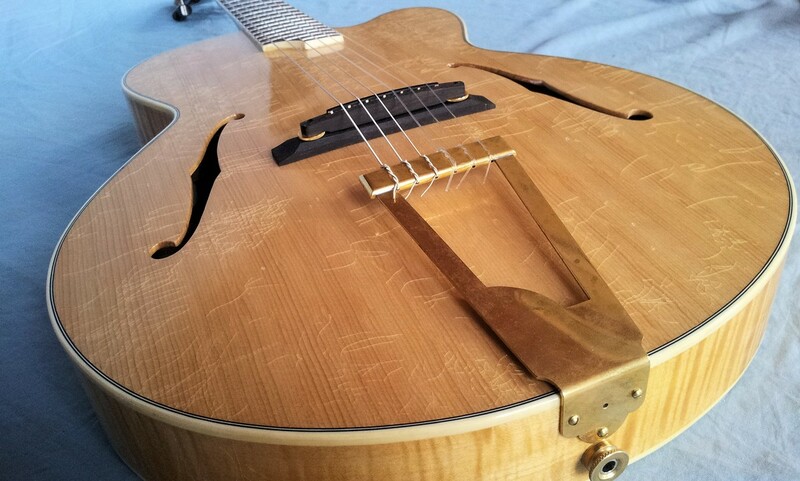 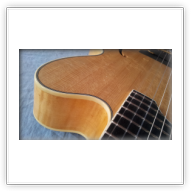 The Jazz Dome takes a step from the Classic features into the jazz archtop world; the Jazz Dome has binding on the body and neck, just as her steel string sisters have. 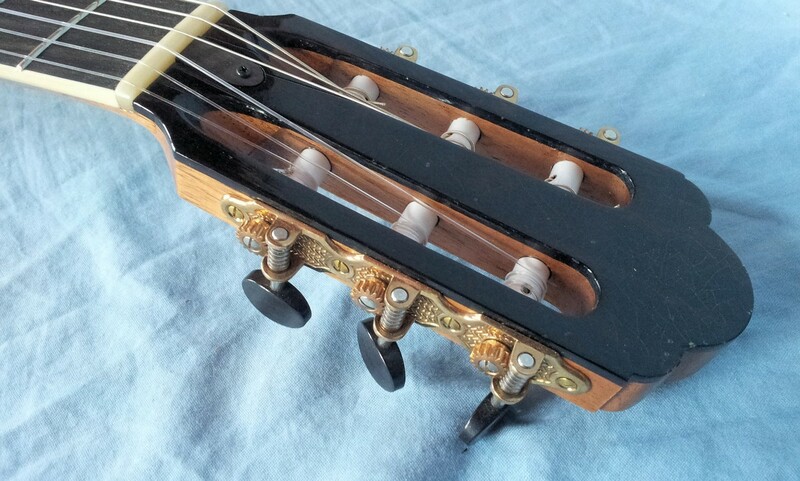 Binding is ivory colour ABS plastic, with ivory/black purfling on the top. 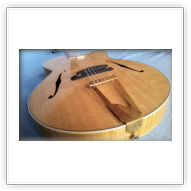 The Jazz Dome is available without preamp (the Barbera pickup's output will easily directly drive a good quality acoustic guitar amplifier); or with an onboard Fishman Presys + preamp. 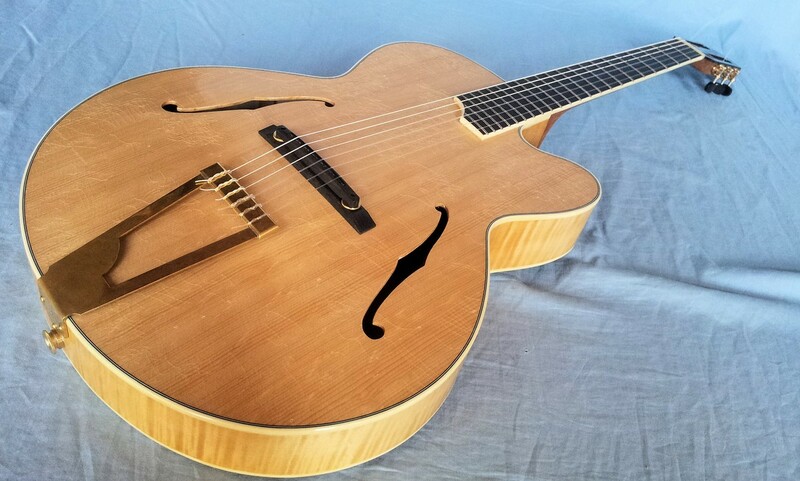 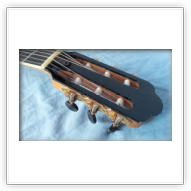 Together with the brass tailpiece which is standard on the Jazz Dome, it has the classic looks of the 16 inch archtop jazz guitar.................... with nylon strings!